Q. A parent confides to the nurse that their 8-month-old infant is anxious. Which of the following suggestions by the nurse is most appropriate to help the mother lessen her anxiety about her infant? A. Limit holding the infant to feeding times. B. Talk quietly to the infant while he is awake. C. Play music in his room for most of the day and night. D. Have a close friend keep the infant for a few days. Explanation: Infants are sensitive to stress in their caretakers. The best way to handle an anxious infant is to talk quietly to him, thereby soothing the infant. Limiting holding of the infant to feeding periods interferes with meeting the infant's needs for close contact, possibly compromising his ability to develop trust. Playing music in the room for most of the day and night will make it difficult for the infant to differentiate days from nights. Having a friend take the infant for several days will not necessarily take care of the problem because when the infant returns to the mother the same behaviors will recur unless the mother makes some changes. Explanation: Nursing informatics is a specialty that integrates nursing science, computer science, and information science to manage and communicate data, information, and knowledge in nursing practice. A specific application of nursing informatics is the use of PDAs in the clinical setting. The devices are less likely to be used to perform documentation or to constitute client records. Telemedicine involves the remote provision of care. Q. Twenty-four hours after a bone marrow aspiration, the nurse evaluates which of the following as an appropriate client outcome? A. The client maintains bed rest. B. There is redness and swelling at the aspiration site. C. The client requests morphine sulfate for pain. D. There is no bleeding at the aspiration site. Explanation: After a bone marrow aspiration, the puncture site should be checked every 10 to 15 minutes for bleeding. For a short period after the procedure, bed rest may be ordered. Signs of infection, such as redness and swelling, are not anticipated at the aspiration site. A mild analgesic may be ordered. If the client continues to need the morphine for longer than 24 hours, the nurse should suspect that internal bleeding or increased pressure at the puncture site may be the cause of the pain and should consult the physician. Explanation: Breastfed infants should eat within the first hour of life and approximately every 2 to 3 hours. Successful breastfeeding will likely require sustained support, encouragement, and instruction from the nurse. Information on SIDS, infant bathing, and sleep-wake cycles are also important topics for the new parent, but they can be covered at any time prior to discharge. Healthcare market research and consulting company PRC recently announced the results of its National Nursing Engagement Report. The report was based on survey findings from over 2,000 healthcare partners and revealed key data about nurses in the workforce today, as well as what the future will hold for nurses and how hospital administrators can help support nurses going forward. One of the main focuses of the study was to examine how many nurses in the workplace today report feeling burned out. According to the report, 15.6% of all nurses reported feelings of burnout, with the percentage rising to 41% of “unengaged” nurses. 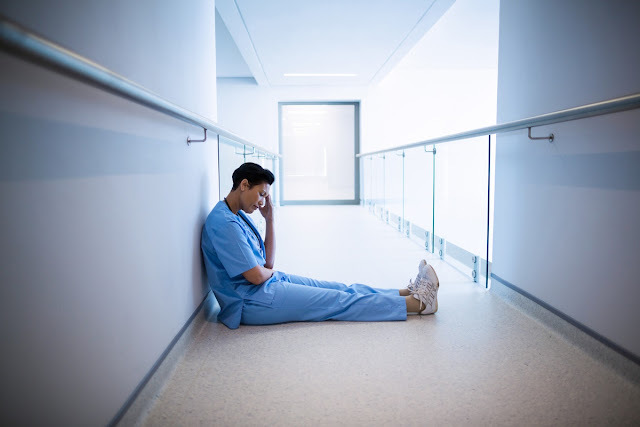 What’s really interesting as well, is that 50% of nurses who reported feeling burned out also reported that they had no plans to leave their organization—pointing to the importance of supporting and meeting nurses where they are at in the workforce. ◈ Feel emotionally checked out from their work, which also ultimately affects their patient care. Factors such as autonomy, nurse-to-nurse teamwork and collaboration, staffing and resources, interpersonal relationships, and leadership access and responsiveness were all factors in nursing engagement. ER nurses also seemed to be at a higher risk for burnout, with 20% of ER nurses reporting feeling unengaged. “Burnout is an important topic in healthcare today,” the report’s authors, Cynthia King, Ph.D., MA, Director Client Organizational Development, PRC and Leigh Ann Bradley, Ph.D., MSN, MA, BS-CHE, RN, Executive Coach & National Speaker, PRC Excellence Accelerator, explain. King and Bradley tell Nurse.org that one of the most exciting findings of the data was the fact that there is a statistical significance between nurse engagement and patients having better experiences. “To us, this highlights the sacred nature of the patient/nurse relationship,” they note. You mean when nurses feel more supported at work, they are better able to do their job and care for patients? What a revolutionary idea! Fortunately, however, 85% of nurses did report feeling engaged or fully engaged, so continuing to support nurses, while also exploring ways to support those who are finding engagement to be lacking, is imperative. Involve nursing leaders and professionals as active participants in decision making impacting the organization and patient care. It is important that nurses know their opinions are valued by leadership. Create environments in nursing units where there are respect, teamwork, and collaboration between nurses and other healthcare professionals. Make leadership accessible to nurses and be responsive to their needs. Having trusting relationships between nursing and the senior leadership of an organization is critical. Despite the reputation that millennials get about working, King and Bradley tell Nurse.org that their research found that all generations—millennials included—are “deeply committed” to the nursing profession. Despite the fact that millennials have a slightly lower percentage of engagement, they also share the same goals and dedication as all other generations studied. Thus, the report only reveals how important it is for nurse leaders to invest time in building relationships and exploring ways to support millennial nurses. Millennial nurses, as part of a different generation of nurses, may have their own unique needs than past or even future generations, but the paper authors point out that uncovering those expectations and needs will only help improve nurse engagement, retention, and patient care. Overall, the report provides an important landscape for defining what factors are necessary to help nurses feel engaged in the workplace, what may lead nurses to experience burnout, and how to move forward to ensure that the needs of nurses in all generations are identified and valued. Explanation: Palliative care for the client with advanced cancer includes pain management, emotional support, and comfort measures. The client is in the hospital, so home maintenance doesn't apply at this time. The client has chosen palliative care, so she isn't noncompliant. The client isn't breast-feeding, so the diagnosis of Ineffective breast-feeding doesn't apply. A. "I need to keep my inhaler at the bedside." B. "I should eat a high-protein diet." C. "I should become involved in a weight loss program." D. "I should sleep on my side all night long." Explanation: Obesity and decreased pharyngeal muscle tone commonly contribute to sleep apnea; the client may need to become involved in a weight loss program. Using an inhaler won't alleviate sleep apnea, and the physician probably wouldn't order an inhaler unless the client had other respiratory complications. A high-protein diet and sleeping on the side aren't treatment factors associated with sleep apnea. A. Contact the surgeon to rewrite the order. B. Administer the antibiotic in the left eye and the steroid in the right eye. C. Administer both types of drops in the right eye. D. Contact the pharmacist for clarification of the order. Explanation: The nurse should not administer drugs without a complete order. In this case the order does not contain information about dosage and uses abbreviations that can cause confusion. A. administration of opioids for pain control. B. administration of nonsteroidal anti-inflammatory drugs (NSAIDs) and initiation of an exercise program. C. administration of monthly intra-articular injections of corticosteroids. D. vigorous physical therapy for the joints. Explanation: NSAIDs are routinely used for anti-inflammatory and analgesic effects. NSAIDs reduce inflammation, which causes pain. Opioids aren't used for pain control in osteoarthritis. Intra-articular injection of corticosteroids is used cautiously for an immediate, short-term effect when a joint is acutely inflamed. Normal joint range of motion and exercise (not vigorous physical therapy) are encouraged to maintain mobility and reduce joint stiffness. A. "The physician wants to be sure your shoes fit properly so you won't develop pressure sores." B. "The circulation in your feet can help us determine how severe your diabetes is." C. "Diabetes can affect sensation in your feet and you can hurt yourself without realizing it." D. "It's easier to get foot infections if you have diabetes." Explanation: The nurse should make the client aware that diabetes affects sensation in the feet and that he might hurt his foot but not feel the wound. Although it's important that the client's shoes fit properly, this isn't the only reason the client's feet need to be checked. Telling the client that diabetes mellitus increases the risk of infection or stating that the circulation in the client's feet indicates the severity of his diabetes doesn't provide the client with complete information. Q. A client is recovering from an acute myocardial infarction (MI). During the first week of the client's recovery, the nurse should stay alert for which abnormal heart sound? Explanation: A pericardial friction rub, which sounds like squeaky leather, may occur during the first week following an MI. Resulting from inflammation of the pericardial sac, this abnormal heart sound arises as the roughened parietal and visceral layers of the pericardium rub against each other. Certain stenosed valves may cause a brief, high-pitched opening snap heard early in diastole. Graham Steell's murmur is a high-pitched, blowing murmur with a decrescendo pattern; heard during diastole, it indicates pulmonary insufficiency, such as from pulmonary hypertension or a congenital pulmonary valve defect. An ejection click, associated with mitral valve prolapse or a rigid, calcified aortic valve, causes a high-pitched sound during systole. Q. When performing an initial assessment of a post-term male neonate weighing 4,000 g (9 lb) who was admitted to the observation nursery after a vaginal delivery with low forceps, the nurse detects Ortolani's sign. Which of the following actions should the nurse do next? A. Determine the length of the mother's labor. B. Notify the primary health care provider immediately. C. Keep the neonate under the radiant warmer for 2 hours. D. Obtain a blood sample to check for hypoglycemia. Explanation: Ortolani's maneuver involves flexing the neonate's knees and hips at right angles and bringing the sides of the knees down to the surface of the examining table. A characteristic click or "clunk," felt or heard, represents a positive Ortolani's sign, suggesting a possible hip dislocation. The nurse should notify the primary health care provider promptly because treatment is needed, while maintaining the dislocated hip in a position of flexion and abduction. Determining the length of the mother's labor provides no useful information related to the nurse's finding. Keeping the infant under the radiant warmer is necessary only if the neonate's temperature is low or unstable. Checking for hypoglycemia is not indicated at this time, unless the neonate is exhibiting jitteriness. Q. A nurse is preparing to perform a postpartum assessment on a client who gave birth 5 hours ago. Which precaution should the nurse plan to take for this procedure? Explanation: During a postpartum assessment, the nurse is likely to come into contact with the client's blood or body fluids, especially when examining the perineal region. Therefore, the nurse must wear latex gloves; hand washing alone would neither provide adequate protection nor comply with universal precautions. The nurse should wear a barrier gown and protective eyewear in addition to latex gloves only when anticipating splashing of blood or body fluids such as during childbirth. Splashing isn't likely to occur during a postpartum assessment. Q. A client who has been in the latent phase of the first stage of labor is transitioning to the active phase. During the transition, the nurse expects to see which client behavior? Explanation: During the transition to the active phase of the first stage of labor, increased pain typically makes the client withdrawn, irritable, and resistant to touch. During the latent phase (the early part of the first stage of labor), when contractions aren't intensely painful, the client typically desires personal contact and touch and responds to teaching and interventions. Fatigue, a desire for touch, and quietness are common during the third and fourth stages of labor. Explanation: The risk of intrauterine growth retardation may increase with the number of cigarettes a pregnant woman smokes. Neural tube defects (such as spina bifida), cardiac abnormalities (such as tetralogy of Fallot), and renal disorders (such as hydronephrosis) are associated with multifactorial genetic inheritance, not maternal cigarette smoking. Q. At an outpatient visit 3 months after discharge from the hospital, a client says he has stopped his olanzapine (Zyprexa) even though it controls his symptoms of schizophrenia better than other medications. "I have gained 20 lb already. I can't stand any more." Which response by the nurse is most appropriate? A. "I don't think you look fat, why do you think so?" B. "I can help you with a diet and exercise plan to keep your weight down." C. "You can be switched to another medicine." D. "Your weight gain will level off if you stay on the medication 3 more months." Explanation: Helping the client control his weight is the most appropriate approach. The nurse's contradiction of the client's complaint is inappropriate. Most atypical antipsychotics cause weight gain and are not a solution to the weight gain. There is little evidence that weight gain from taking olanzapine decreases with time. During my senior year of nursing school, life suddenly got a little busy for me. And by a “little busy” I mean I found out I was pregnant, I started planning a wedding with a deadline of three months, and I was still working night shift as a nurse tech. Honestly, I don’t know how I survived that time in my life, although I do hazily recall a lot of puking and a lot of ice cream consumed. One thing that I remember clearly, however, is that I didn’t have the energy or time to focus on studying as I had during my early days of nursing school. Heck, I barely could make it through class without having to run out and throw up in the nearest trash can, so you had better believe I didn’t have time to take pages and pages of notes. 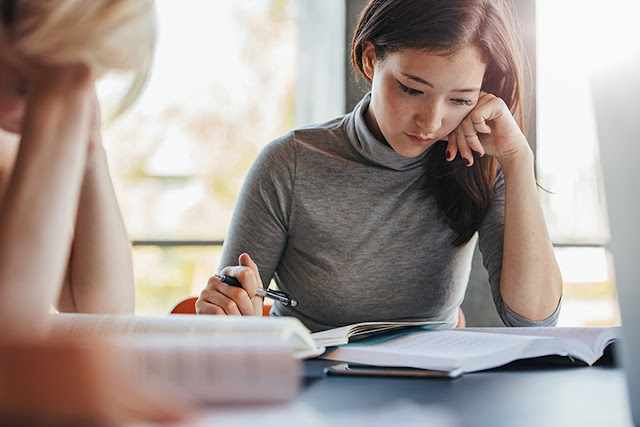 If you’re anything like me and looking for a little help studying (probably minus the pregnancy part), I’ve rounded up some of the best study and nursing school survival tips that won’t leave your hand cramping from taking notes. If you’re feeling like you need a break from studying, don’t fall trap to the thinking that you need to power through and keep cramming. You might think more = better, but studies have shown that taking a break can actually make you more productive. Many students may make it to the college-level without even knowing what their unique learning style is. Some people learn best by reading, some by writing out notes, others by listening, and still others by seeing or doing. The important thing is that you realize that no way is the “right” way, but there is a right way that will work for you, so experiment to find out what works best for you. A year out of school, 26-year-old labor and delivery nurse Danielle Smith’s biggest tip is to set rewards for studying. For example, she suggests that if you want to watch the new episode of “This is Us”, you should tell yourself you must first finish your flash cards for a chapter or complete at least 25 practice questions, etc. Second-year nursing student Kelly Carson, 25, says that time management and prioritizing are everything. And the real key? Scheduling out a time to study—don’t just leave it until you feel like it. If you need a little pick-me-up before studying, try some essential oils. Lavender, rosemary, and peppermint oils have all been studied and have been shown to increase concentration and retention. Try diffusing the oils or dabbing a little on your wrists before sitting down to a study sesh. If you’re having trouble focusing on your study sessions, try mixing things up with the 45-15 study strategy. The strategy is simple: set a timer for 45 minutes, then take a break for the next 15. The key is really, really focusing during those 45 minutes (no social media, folks!) and then really, really taking a break. Get up, get moving, talk a walk, and then get back to it. The strategy is a good way to prep and take advantage of the natural ebb and flow of concentration in your brain. RN Ashley Cloutier, 31, knows that just like nurses out in the field depend on their coworkers to survive, so too do nursing students. “You develop an odd little family with your peers because you are together more than anyone else,” she explains. “Find a few people who you mesh well with, this is what got me through nursing school. Support each other, encourage, and hold each other accountable. Pay attention to how you feel when you sit down to study—are you dreading it before you even begin? Groaning internally? Exhausted just thinking about it? It may be time to reevaluate your study environment. There is no reason to make study time something you absolutely hate; instead, try to set up little rituals for yourself before and while you study to make it more enjoyable. Try setting up a special corner, lighting a candle or even stashing your favorite snacks nearby for a little treat. And on the flip side, if you’re a creature of habit while studying, you could also try mixing up your environment. Get out of your house or apartment and visit a new coffee shop or deli to get some new sights and sounds while you study. Chances are, your typical study style might look something like this: go to class, take notes, review the material, study, take test, right? Well, Shelby B., a second-year nursing student who runs the account @coffeeandcareplans has a different strategy that I think is genius. Q. A client diagnosed with a cognitive disorder is showing signs of confusion, short-term memory loss, and a short attention span. Which of the following therapy groups would be best suited for this client? Explanation: Because the client has confusion, short-term memory loss, and a short attention span, a reality-orientation group is recommended to help the client maintain an optimal level of functioning, decrease isolation, and increase self-esteem. Focus is on the "here and now" and provides reality testing, structure, and social support. A client with a cognitive disorder is unlikely to benefit from an insight-oriented group, where the focus is on role relationships. Short-term memory loss and confusion interfere with the ability to learn about medication management. Short-term memory loss and confusion interfere with the ability to describe and solve problems. Q. 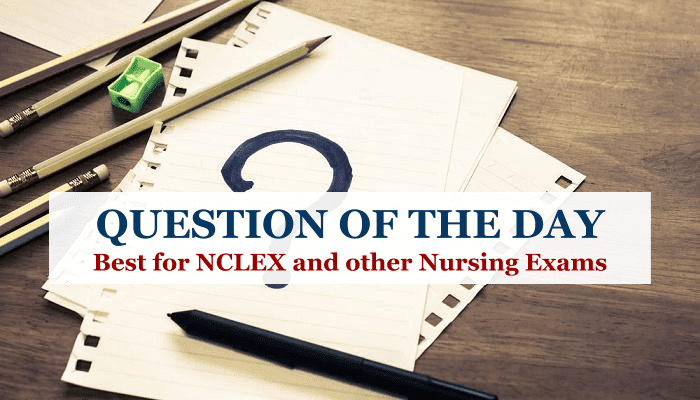 Which of the following should the nurse teach a client with generalized anxiety disorder to help the client cope with anxiety? A. Cognitive and behavioral strategies. B. Issue avoidance and denial of problems. D. Withdrawal from role expectations and role relationships. Explanation: A client with generalized anxiety disorder needs to learn cognitive and behavioral strategies to cope with anxiety appropriately. In doing so, the client's anxiety decreases and becomes more manageable. The client may need assertiveness training, reframing, and relaxation exercises to adaptively deal with anxiety. Q. A nurse makes a home visit to a client who was discharged from a psychiatric hospital. The client is irritable and walks about her room slowly and morosely. After 10 minutes, the nurse prepares to leave, but the client plucks at the nurse's sleeve and quickly asks for help rearranging her belongings. She also anxiously makes inconsequential remarks to keep the nurse with her. In view of the fact that the client has previously made a suicidal gesture, which of the following interventions by the nurse should be a priority at this time? A. Ask the client frankly if she has thoughts of or plans for committing suicide. B. Avoid bringing up the subject of suicide to prevent giving the client ideas of self-harm. C. Outline some alternative measures to suicide for the client to use during periods of sadness. D. To draw out the client, mention others the nurse has known who have felt like the client and attempted suicide. Explanation: Investigating the presence of suicidal thoughts and plans by overtly asking the client if she is thinking of or planning to commit suicide is a priority nursing action in this situation. Direct questioning about thoughts or plans related to self-harm does not give a person the idea to harm herself. Self-harm is an individual decision. Avoiding the subject when a client appears suicidal is unwise; the safest procedure is to investigate. It would be premature in this situation to outline alternative measures to suicide. Describing other clients who have attempted suicide is too indirect to be helpful and minimizes the client's feelings. Most nurses have excellent clinical skills that they learned both through their education and on-the-job. He or she is knowledgeable about various disease processes and can quote the side effects of medications verbatim. However, soft skills are usually traits that cannot be taught. Soft skills are innate components of an individual’s personality and core values - while some individuals may simply be born with these qualities, others can develop and master them over time. 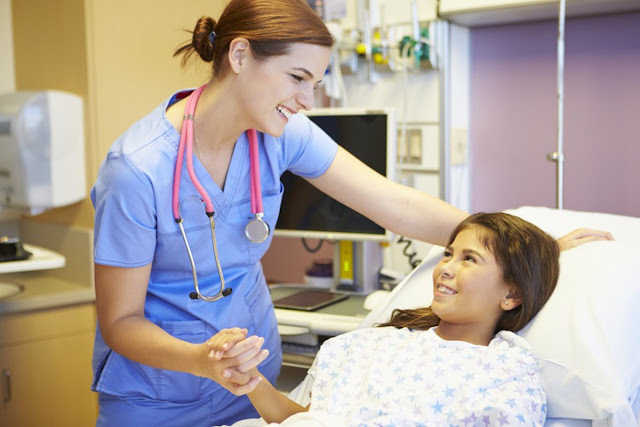 Soft skills affect not only the patient-nurse relationship; these skills also contribute to the relationship of the nurse with other interdisciplinary team members as well as the communities, where the nurse practices. Therefore, it is vital for nurses to develop soft skills which will enhance teamwork and collaboration and lead to improving patient outcomes. Soft skills are skills which characterize relationships with other people, or which are about how you approach life and work. There are many soft skills and the following are the top four that nurses can develop to be great! Communication begins before you even speak. Peplau’s Interpersonal Relations Theory focuses on the nurse-patient relationship and the therapeutic process that takes place. ◉ Orientation Phase: This is the introductory phase. The patient has been introduced to treatment and is longing to ask questions and receive information. This stage helps the patient develop trust. It is where the first impressions about the nurse and his or her healthcare team are established. ◉ Identification/Working Phase: The patient and nurse begin to work together. It accounts for the majority of the time that nurses spend with their patients. This is the time nurses put their communication skills to test. The patient becomes an active participant in his or treatment. The nurse must be able to actively listen. This is the time for the nurse to build a rapport of trust and convince the patient that he or she is competent and knowledgeable. This is the teaching phase. ◉ Resolution Phase: This phase allows the nurse to measure the success of his or communication skills. The success of the resolution phase is dependent on how well patients and nurses communicated during the orientation and working phases. As a result of effective communication, the patient’s needs have been met. Of course, one way to decipher a patient's feelings is by listening and understanding their verbal cues; another valuable way is through the use of non-verbal cues by maintaining eye contact. Written communication is also important. Be sure your written forms of communication are clear, concise, and easy to understand. Write in complete sentences that are grammatically correct. When communicating with a patient use layman’s term. Only use approved abbreviations and terminology that is universal. Empathy is the ability to understand and share the feelings of others. As healthcare organizations become increasingly dependent on technology, it is important to realize that no amount of technology can compensate for an empathetic nurse. An empathetic nurse can connect with his or her patient by understanding what the patient is going through. They are able to acknowledge their patient’s emotional state, listen, and engage the patient with open, unbiased communication. Empathetic nurses can empower their patients to express their feelings, fears, and concerns related to their healthcare. These two skills go hand-in-hand. Having organizational skills speaks to your ability to function effectively in the workplace. Nurses must learn time management skills to successfully handle their daily responsibilities while maintaining a professional environment during interactions with patients, family members, and colleagues. The ability to prioritize your workload and effectively multitask is essential. Let's not forget those last-minute assignments or schedule changes. As nurses, we must be able to adapt quickly, reprioritize, organize, and manage these changes. Having great organizational and time management skills will lessen those burdens. The healthcare industry is all about collaboration and an interdisciplinary approach. Developing the aptitude of networking and being able to work in groups and contribute seamlessly, is excellent for career advancement and improves the level of care for patients. Honing in on your networking skills will prove beneficial, not only for the benefit of your patients but for the benefit of your professional career. The nursing world is small. You never know when you'll apply for a new position, and a former colleague is the hiring manager. Before graduating with my BSN, I knew I didn’t aspire to bedside nurse for long. I had my eyes set on nursing leadership early on in my career. After two years of inpatient nursing on a medical/GI floor, I started taking graduate level classes towards obtaining a master’s degree in nursing administration with hopes of becoming a nurse manager. Looking back on my road to obtaining a manager position, I would have done a lot of things differently. I learned so much along the way. If I were to sit down with my former self two years into my career, these are the things I would have reconsidered. As a new nurse, other nurses will inevitably share their own opinions and values regarding career choices. It is good to listen to them but realize that your coworkers might not aspire to the same goals as you. A nurse who just wants a paycheck will have different motivations than a nurse looking to advance their career. While there may be a lot of truth to what this experienced nurse suggested, it’s important to note that their truth is not necessarily your truth. 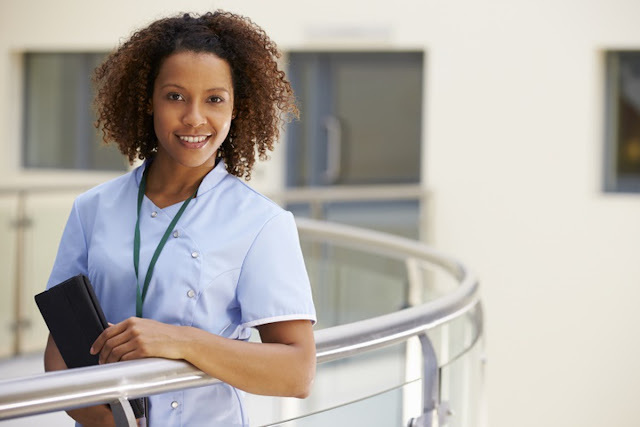 These opportunities are valuable to a new nurse who is aspiring to become a nurse leader. 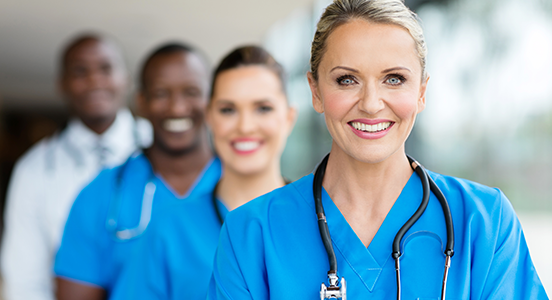 Whether a manager, education specialist or any other nurse leadership position, unit leadership is vitally important to professional development and will aid in promotion to the next level. Express interest to leaders. Everyone wants to wait for the perfect opportunity to join a committee or take on a project that they are a perfect fit for. The reality is that these opportunities are hard to come by. Fear not! There are many opportunities that will be provided. Departmental, unit-based, or other leadership opportunities are a revolving door. Meaning that something will arise if you wait long enough. You don’t necessarily have to pick the first one you see but don’t get too picky. It is the experience you are concerned about, not the fit. Talk to your nurse manager or supervisor and don’t be afraid to ask for more opportunities. When calls are put out for leadership opportunities you should definitely respond to them. If you are innovative enough, you could even discuss potential opportunities with your leadership team - opportunities that might not already exist. Your enthusiasm and creativity will show not only your leadership team but, also your coworkers the value you bring to the role. Doing something like this will also boost your resume exponentially! I find personal and professional development to be basically the same thing, expressed in a different setting. If your personal life is a mess and is unrefined, it spills over into your professional life. The opposite is true as well. Think of that college student who goes out drinking on a Thursday night, only to try and show up to class the next day for an important test. That scenario doesn’t usually play out well for the individual. Clearly, your personal life and decisions impact your ability to perform and develop at work. How you discipline yourself personally may be less obvious than professionally. Certain skills such as practicing follow-through with plans, making and sticking to a budget, becoming efficient in time management skills, developing effective communication skills within interpersonal relationships or simply organizing and managing your personal email, all have a positive impact on professionalism. One of the best things I did was go back to school early on in my career. Nurses have a unique opportunity to be working full-time and going to school to advance their education. This means getting on-the-job experience while gaining valuable education to propel your career even more in the future. What makes this so valuable as a nurse is that you get to learn skills and apply them simultaneously. Sort of like clinicals on steroids because you are a fully functioning, independent nurse, while in school. Going back to school early into your career, however, isn’t for everyone. However, I know that going back to school early in my career helped by career greatly in the long run and it will probably do wonders for yours as well. Now, more than ever, organizations are looking for ability, not years of experience, when hiring leaders. Professional athletes dominate sports in their early 20’s and there is no excuse why young professionals cannot be impacting the healthcare industry in a similar way. For me, it was AONE (American Organization of Nurse Executives). Joining a professional organization shows that you are willing to invest personally in your professional development (sound familiar?). It also exposes you to current issues and innovations relating to your desired future position. You must learn to speak the language and if what you are reading and being exposed to is unfamiliar, then you know what to learn about and explore. Nobody knows if you are the best individual for a job if you can’t translate your experiences into meaningful talking points during an interview. The stakes are raised significantly when interviewing for a leadership position. It’s important to understand that interviewing is a skill and it needs to be developed just like any nursing or leadership skill. Only now, in hindsight, do I realize how immature and underdeveloped I really was during my first few interviews for leadership positions. I interviewed about six different times before I was offered a nurse manager position and my ability to interview was a night and day difference. I’m almost embarrassed by how little I knew during my first interviews. No matter how senior you are in your career, perfecting the interview process is truly a life-long process. Interview styles, especially in the healthcare setting, are constantly changing. There are plenty of people who are filled with superficial feedback that might make you feel good but won’t propel your career. Although encouragement is a great thing, it won’t help you develop yourself professionally. Sometimes the people with critical attitudes or blunt ways of saying things can hold the power of constructive feedback. You might have to translate their poor ability to give feedback into a helpful recognition of areas to improve yourself. If you can find someone who can give you critique in a positive and constructive way, you’ve found the best of both worlds! Be friends with them. Also, consider looking into the growth versus fixed mindset. There is research out there on this topic. In short, if you don’t seek to always be learning and growing or see yourself with a limited capacity to grow or develop, you will stop learning and plateau. There is far more to learn in nursing than any one individual could do in a lifetime. Leaders cannot be afraid of confrontation. If you are paralyzed by the fear of confronting someone, you might not be fit for leadership. At best, you will never reach your full potential. At worst, you’ll never get important things done and you’ll lose the respect of your staff. Everyone wants to come into a new job and show how much they know. That is foolishness. As a nursing student, I struggled with this and as a nurse, I see student nurses continue to struggle with this. As a student nurse what you should be seeking to show is how much you can learn and apply rather than how much you know. The ability to learn is the Swiss Army Knife of nursing. You could succeed in any unit or in any position if you can learn and adapt quickly. Q. According to Erikson's psychosocial theory of development, an 8-year-old child would be in which stage? Explanation: In middle childhood, the 6- to 12-year-old child is mastering the task of industry versus inferiority. The trust versus mistrust task is in infancy (birth to 1 year). In early childhood, the 1- to 3-year-old child is in the stage of initiative versus guilt. Identity versus role confusion occurs during adolescence. Q. A child diagnosed with tetralogy of Fallot becomes upset, crying and thrashing around when a blood specimen is obtained. The child's color becomes blue and the respiratory rate increases to 44 breaths/minute. Which of the following actions should the nurse do first? A. Obtain an order for sedation for the child. B. Assess for an irregular heart rate and rhythm. C. Explain to the child that it will only hurt for a short time. D. Place the child in a knee-to-chest position. Explanation: The child is experiencing a tet or hypoxic episode. Therefore the nurse should place the child in a knee-to-chest position. Flexing the legs reduces venous flow of blood from the lower extremities and reduces the volume of blood being shunted through the interventricular septal defect and the overriding aorta in the child with tetralogy of Fallot. As a result, the blood then entering the systemic circulation has a higher oxygen content, and dyspnea is reduced. Flexing the legs also increases vascular resistance and pressure in the left ventricle. An infant often assumes a knee-to-chest position in the crib, or the mother learns to put the infant over her shoulder while holding the child in a knee-to-chest position to relieve dyspnea. If this position is ineffective, then the child may need a sedative. Once the child is in the position, the nurse may assess for an irregular heart rate and rhythm. Explaining to the child that it will only hurt for a short time does nothing to alleviate the hypoxia.